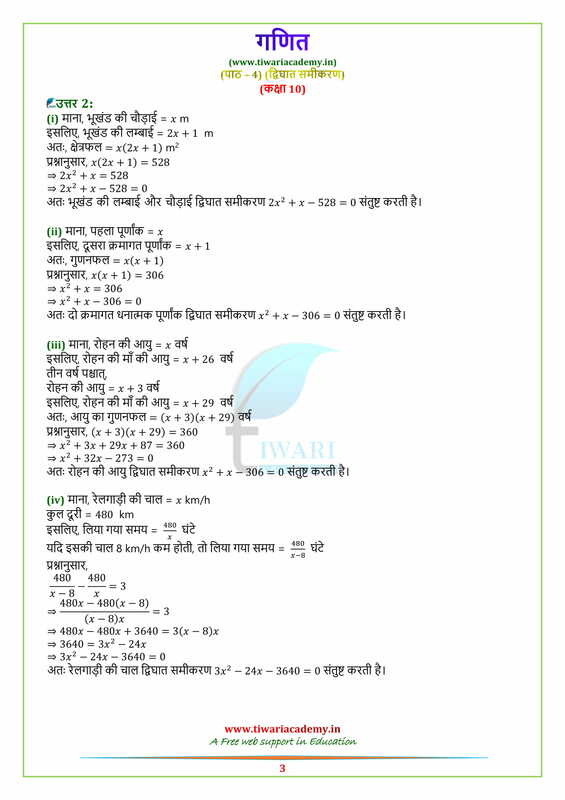 Free download NCERT Solutions for Class 10 Maths Chapter 4 Exercise 4.1 of Quadratic equations in English Medium and Hindi Medium PDF. 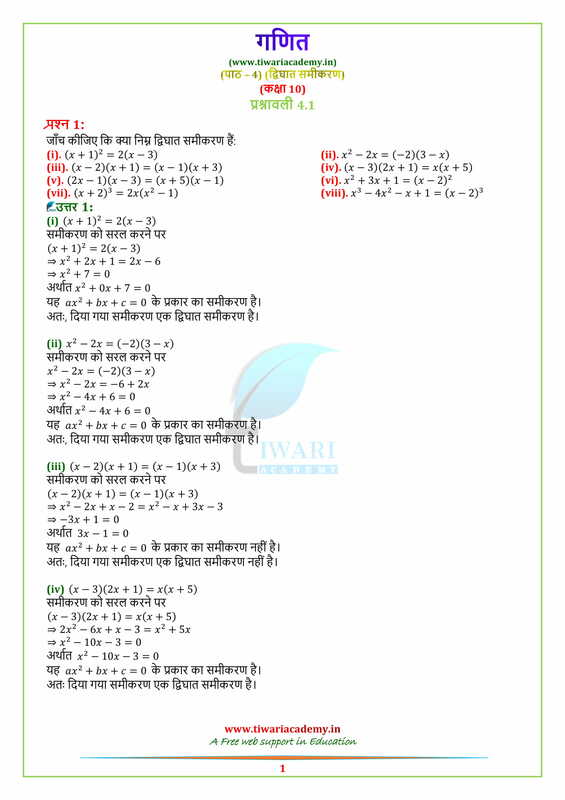 NCERT Solutions for class 10 other subjects are also in PDF form. 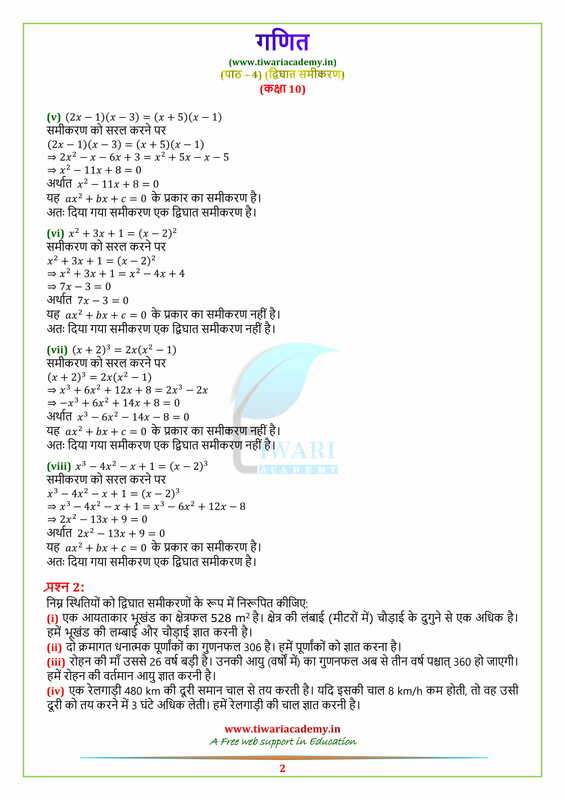 Solutions of other exercises like Exercise 4.2 or Exercise 4.3 or Exercise 4.4 for download or view all solutions online without downloading, its on you. Feel free to use the contents. If any problem with solutions, please specify us, so that we can make further improvements. (c) greater than 0 (d) less than zero. If one root of the equation x² + 7x + k = 0 is –2, then find the value of k and the other root. 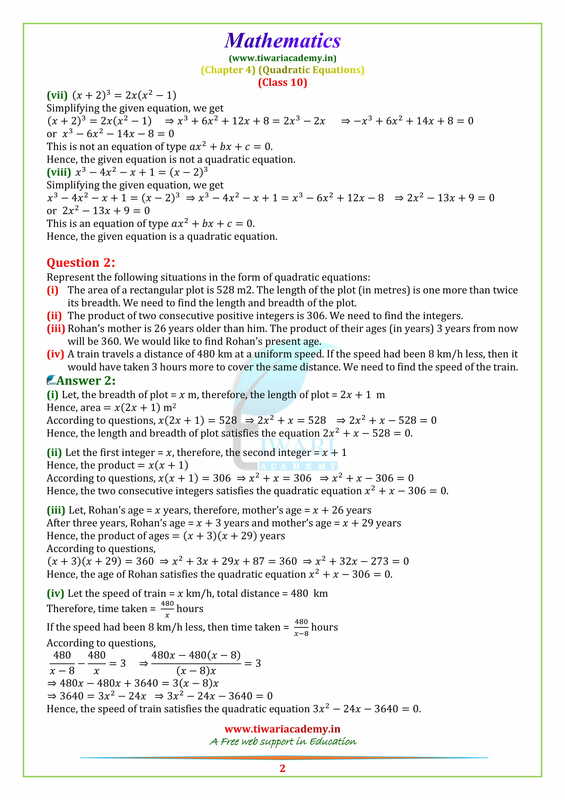 For what value of ‘k’ the equation 2x² + kx + 3 = 0 has equal roots? For what value of ‘p’, the equation 3x² + px + 3 = 0 has real roots? The product of two consecutive odd integers is 63. 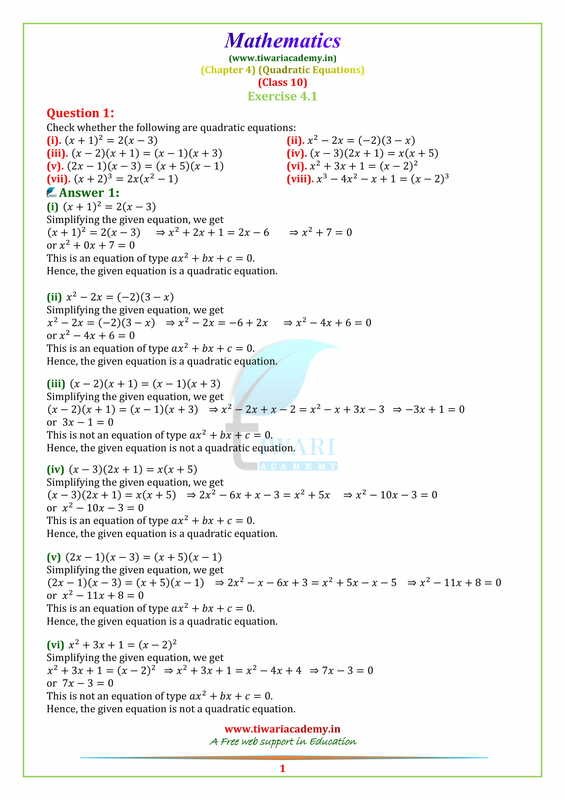 Represent this in form of a quadratic equation. Divide 51 in to two parts such that their product is 378. Find ‘k’ so that (k – 12) x² + 2 (k – 12) x + 2 = 0 has equal roots. (k ≠ 12). If (–5) is a root of the equation 2x² + px – 15 = 0 and the equation p(x² + x) + k = 0 has equal roots, find values of p and k.